Freshwater or anadromous species. Distributed in Europe and Asia. In Latvia occurring in coastal waters and inner waters connected to the sea, as well as in a few lakes and artificial reservoirs where populations have established after restocking. Stocked at least in 94 (12%) lakes, some artificial reservoirs on the Daugava, and the southern part of the Gulf of Riga from 1904 to 1996. Spawning in May. 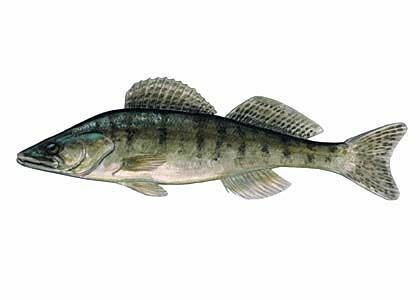 The coastal pike-perch entering adjacent freshwaters for spawning. Sea spawning observed in the northern part of the Gulf of Riga. Commercially important coastal fisheries. Annual catch of 30 - 80 tons in Latvia, mostly in the southern part of the Gulf of Riga. In some freshwater bodies quite common catch for anglers, but mainly caught in the areas where regularly restocked.